Each album will be available individually, and accompanied by a stunning, elegantly designed 252-page hardbound book in a lavish boxed limited edition. created especially for Record Store Day 2012's Back To Black Friday, celebrated at the nation's independent record stores on Friday, November 23, 2012. 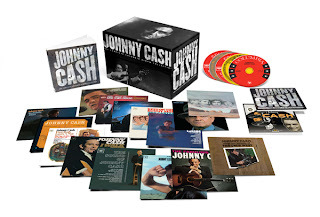 For Back To Black Friday 2012, Legacy is offering releases appealing to connoisseurs of classic sounds from Johnny Cash, Miles Davis, Big Brother & the Holding Company featuring Janis Joplin, Judas Priest, Incubus, Jeff Buckley, Leonard Cohen and more. An individually numbered reproduction of Johnny Cash's first Columbia Records album meticulously recreated from the original album art. The artist's first album after leaving Sun Records, The Fabulous Johnny Cash introduced such signature classics as "Don't Take Your Guns to Town," "Frankie's Man, Johnny," "Pickin' Time" and "The Troubador." Available first at independent record stores. composer/arranger Gil Evans represented in an epic trilogy of musical masterpieces. Available first at independent record stores. Cheap Thrills - originally released August 1968 - 12" 180-gram audiophile mono vinyl LP Number One for eight consecutive weeks in 1968, Cheap Thrills was Big Brother & the Holding Company's second album and the band's last to feature Janis Joplin. The record made Joplin a star and remains a central touchstone for 60's psychedelia and blues rock. This 180-gram audiophile reproduction of the original LP has been sourced from the original mono master and comes housed in a gatefold jacket meticulously recreated from the original album art. Available first at independent record stores. Hallelujah - 7" vinyl single - Numbered Limited Edition Record Store Day Exclusive A limited numbered edition of a split 7" double-A side single of Leonard Cohen's "Hallelujah," originally recorded for 1984's Various Positions, coupled with Jeff Buckley's transcendent interpretation of the song, as originally recorded for Buckley's 1994 debut album, Grace. The release of the Hallelujah single coincides with the publication of the Alan Light book, "The Holy or the Broken (Leonard Cohen, Jeff Buckley & the Unlikely Ascent of 'Hallelujah')," on December 4. Available exclusively at independent record stores. The top-selling album in the Judas Priest canon, Screaming for Vengeance is often cited as one of the most profoundly influential albums in heavy metal history. 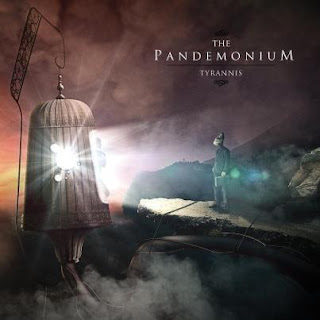 This timeless metal manifesto includes "Electric Eye," "(Take These) Chains" and "You've Got Another Thing Comin'," the classic rock radio perennial still gathering airplay thirty years later. Available first at independent record stores. Five classic titles from the core catalog of Incubus, the American rock band from Calabasas, California who fused funk, rap, metal, techno, jazz and hip-hop into an upbeat new music for the emerging 21st century. Available first at independent record stores. assortment of "sermons, music, blues, jazz, gospel and devotionals" from artists including Harmon Ray (Peetie Wheatstraw), Lil McIntock, Tampa Red and Sonny Boy Williamson 1, Bessie Smith, Bo Carter, Butterbeans and Susie, Lightnin' Hopkins, Kansas City Kitty, Casey Bill Weldon, and the Reverend J.M. Gates, Death Might Be Your Santa Claus is an essential addition to any blues or seasonal music collection. The CD edition of Death Might Be Your Santa Claus includes two bonus tracks: "Santa" by Lightnin' Hopkins" and "Hell Will Be Your Santa Claus" by the Reverend J.M. Gates. Both CD and vinyl editions of Death Might Be Your Santa Claus will be available exclusively at independent record stores. Now in its fifth year, Record Store Day is an annual day-long celebration of record store culture taking place on the third Saturday in April. In January, RSD appointed Iggy Pop to the post of Record Store Day 2012 Ambassador. Paul Weller is set to release a new EP in December which brings together a selection of bonus tracks and b-sides taken from various releases from 2012. 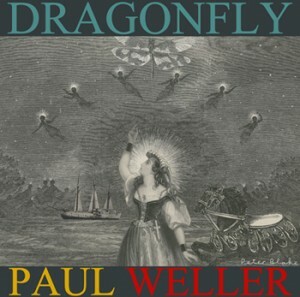 The EP is led by the single "Dragonfly," which was culled from Weller’s 2012 UK number one album ‘Sonik Kicks.' The effort will be available digitally on December 17th and a vinyl release, limited to 3000 copies, has also been announced. The EP’s artwork was designed by the legendary artist Sir Peter Blake. 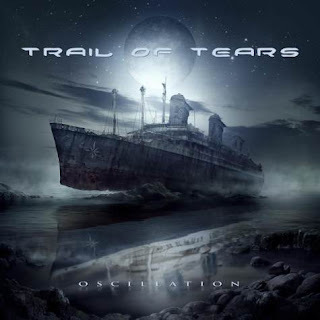 Norway's TRAIL OF TEARS has revealed the cover artwork of the band's seventh full-length album, "Oscillation", courtesy of Finnish artist Jan Yrlund. 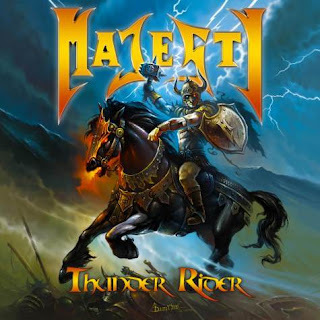 Reactivated German metallers MAJESTY will release their comeback studio album, "Thunder Rider", on January 4 In Germany, Austria, and Switzerland and on January 25 in the rest of Europe via Austria's NoiseArt Records. In addition to a standard CD release, "Thunder Rider" will be made available as a special edition, including a bonus track and a DVD with the "Metal Union" documentary, along with a vinyl edition. 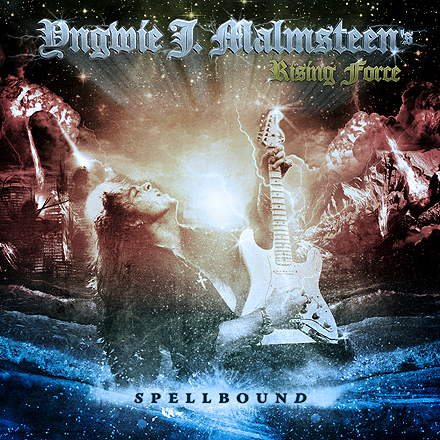 Neo-classical guitar virtuoso Yngwie Malmsteen has recently revealed the album cover art for his new effort called 'Spellbound.' Along with supreme guitar shredding, Malmsteen plays the other instruments on the new album. The worldwide release date of 'Spellbound' is slated for December 5th. metal music has the best cover art! The Pandemonium will be releasing the 'Tyrannis' EP on November 19th, 2012. The effort was mixed and mastered by John Browne of Monuments and artworkis from Igor Omodei from Uneven Structure. 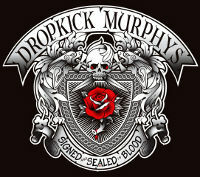 Dropkick Murphys Release Fan-Asissted Video For "Rose Tattoo"
"Rose Tattoo" is one of the songs off the band's forthcoming album, SIGNED and SEALED in BLOOD, to be released January 8th via Born and Bred Records. Presale for the album will begin on November 23rd.